Sumo Wrestling is a traditional sport, mostly popular in Japan. Main target is to throw/hit the opponent out of the circular ring. 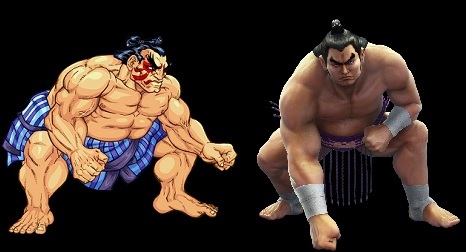 E.Honda from Street Fighter II and many of its sequels is the probably most popular Sumo Wrestling using video game character, followed by Ganryu from the Tekken games. The list below will give you an overview about Video Game Characters using Sumo Wrestling techniques or are based on Sumo.